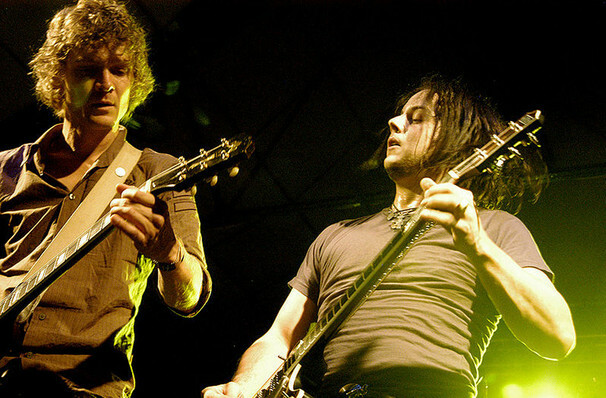 The Raconteurs are back with a brand new album and tour! Alt-rock legends The Raconteurs return to the road this year as they present their brand new album, Help Us Stranger. Their first album since 2008's Consolers of Lonely, Help Us Stranger sees the Jack White-fronted band reunite after a long and desolate hiatus. The Raconteurs first burst onto the music scene with their debut album Broken Boy Soldiers in 2006. This first full-length album (which included iconic hit Steady As She Goes) saw the four-piece hit the number two spot in the UK charts as well as hitting the top ten in the US. 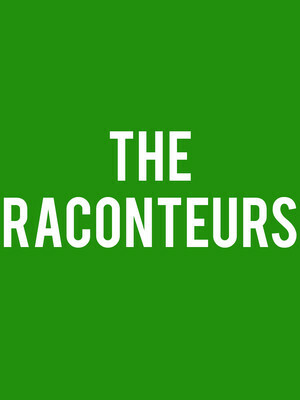 Catapulted into super-stardom The Raconteurs released their second album, Consolers of the Lonely in 2008 which mirrored their first album's huge success and earned the group a Grammy award. However, all was not well as the group announced that they would be taking a break with no confirmed return. Thank goodness that the boys seemed to have worked through it and are now back with brand new music! Purveyors of heavy guitar riffs and booming drums The Raconteurs are the princes of alt-rock, don't miss your chance to see the lads return with their brand new tour! About Oklahoma City Theater: We are an independent show guide not a venue or show. We sell primary, discount and resale tickets and prices may be above or below face value. Seen The Raconteurs? Loved it? Hated it? Help your fellow Oklahoma City Theater visitors by leaving the first review! Sound good to you? Share this page on social media and let your friends know about The Raconteurs at The Criterion. Please note: The term The Criterion and/or The Raconteurs as well as all associated graphics, logos, and/or other trademarks, tradenames or copyrights are the property of the The Criterion and/or The Raconteurs and are used herein for factual descriptive purposes only. We are in no way associated with or authorized by the The Criterion and/or The Raconteurs and neither that entity nor any of its affiliates have licensed or endorsed us to sell tickets, goods and or services in conjunction with their events. Oklahoma City Theater is part of the Theatreland Ltd Collection. Established in 2003, Theatreland offers the largest individual collection of websites providing complete, impartial guides to all the theatrical, musical and performance arts events and venues in the world's greatest theatre cities, from New York's Broadway to London's West End and from the showrooms of Las Vegas to Shakespeare's Globe Theatre.